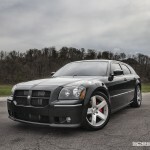 This modern, low-slung hot rod wagon came with a 425 BHP HEMI, Bilstein shocks and 20″ wheels straight from the factory. 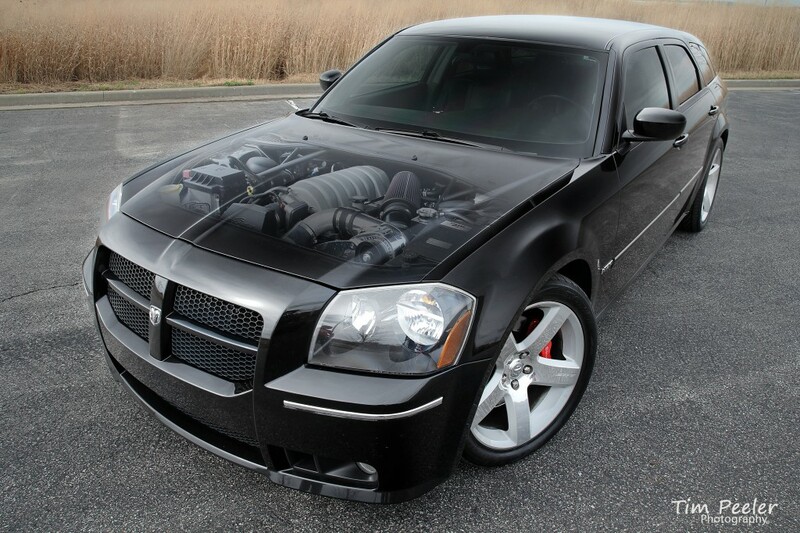 After enjoying the car for a few years, the owner wanted to make it an even better performer. 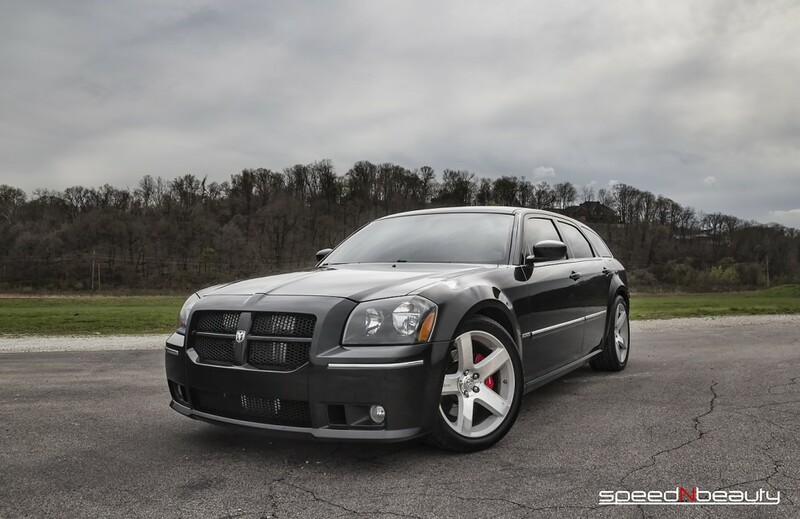 Phase one of the project included a ProCharger centrifugal supercharger kit, lower-temp thermostat, MagnaFlow cat-back exhaust, front strut-tower brace and slightly wider, more aggressive tires. 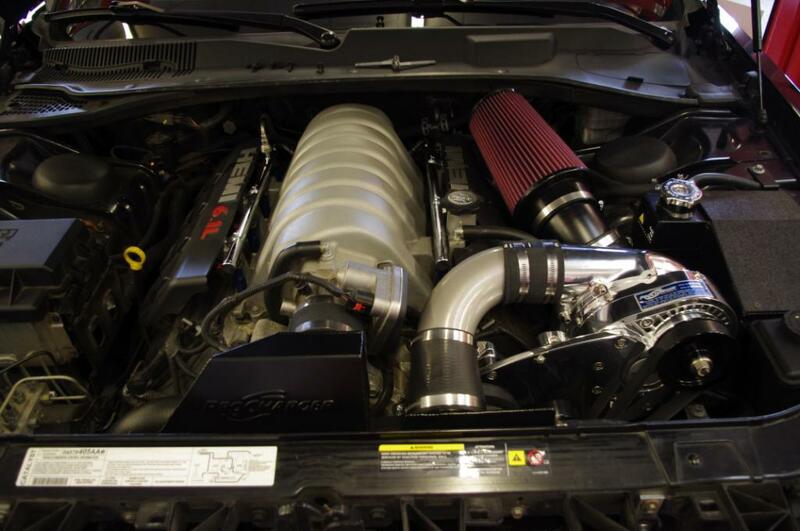 The ProCharger supercharger kit comes complete with a centrifugal supercharger head unit with billet impeller, heavy-duty aluminum mounting bracket for mounting with idler pulley, longer serpentine belt, upgraded fuel injectors, all necessary wiring and tubing, and a Diablo tuner with ProCharger tune specific to the 6.1L HEMI setup. 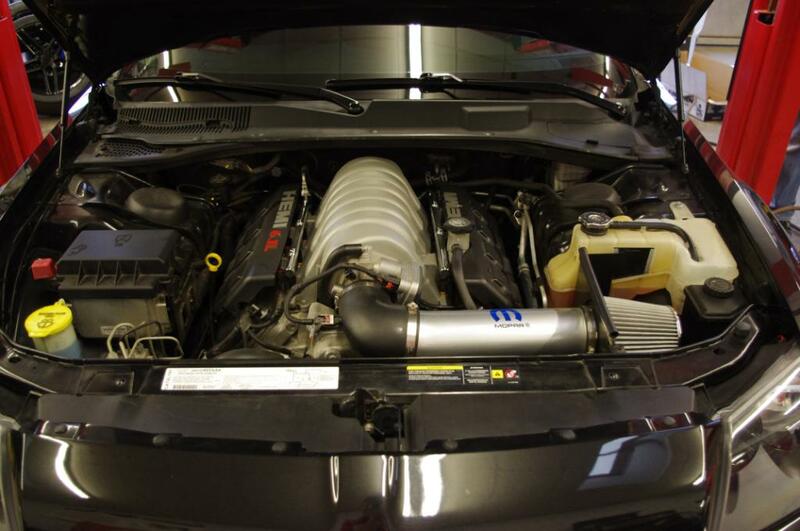 In this case, the owner opted for the polished bracket and supercharger upgrade as well as the helical gear set upgrade for quite, stealthy operation. Net result? Increase from 359 RWHP to 481 RWHP, and rear wheel torque from 357 to 454. 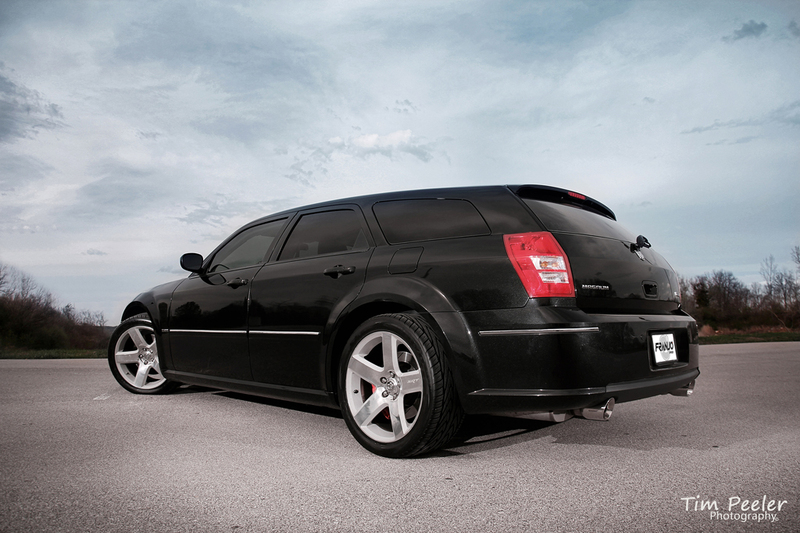 When Frank first bought his Magnum SRT8, he thought it had as much power as he could ever want or need. 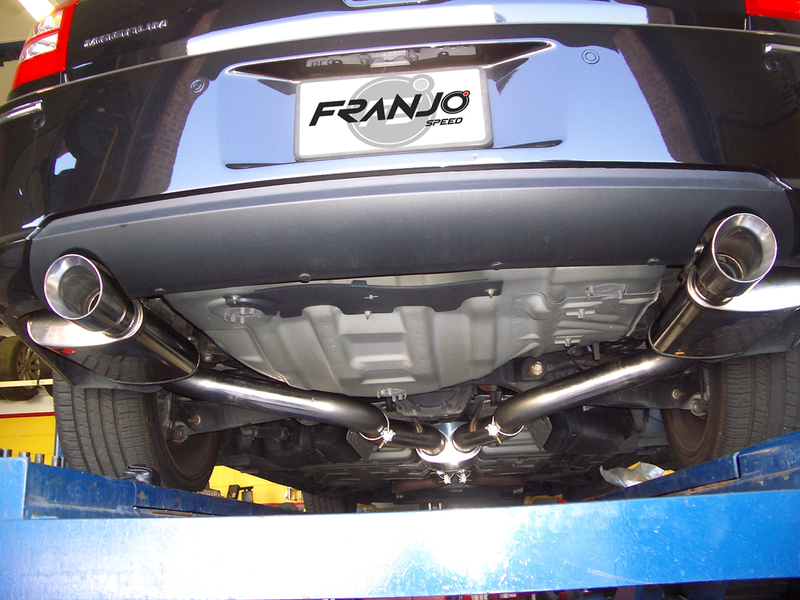 But soon offerings from other manufacturers were showing up with 400 or more BHP straight from the factory, so Frank was looking for ways to give his relatively unique ride a bit more edge.